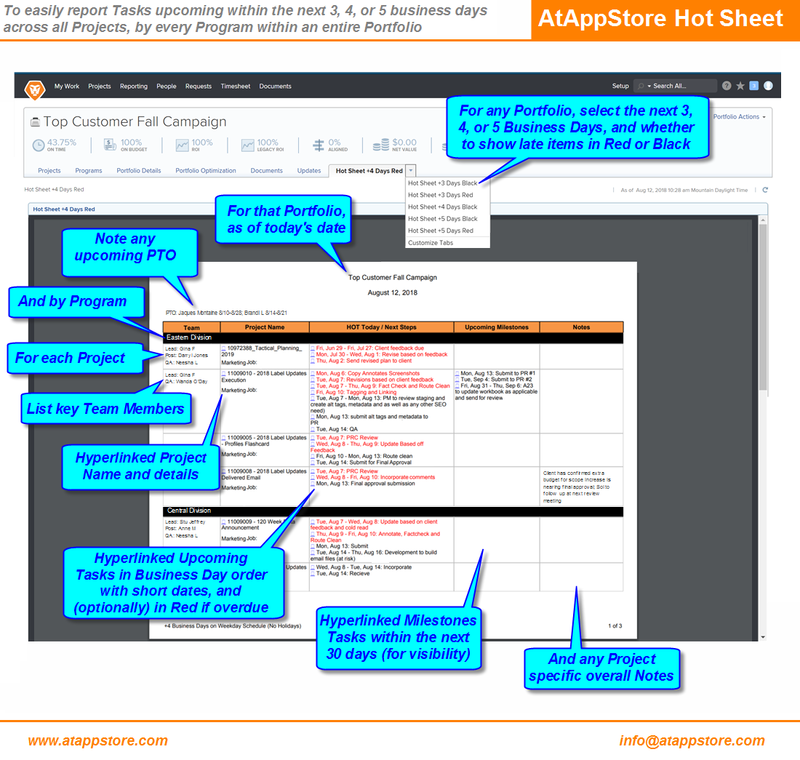 Our Hot Sheet solution efficiently distills your upcoming work down to those tasks planned to finish (or overdue) within the next 3, 4, or 5 business days across all projects, by every program within an entire portfolio. Your first year’s annual license of our Hotsheet solution includes up to four hours for branding, installation, and training. And because it’s based on our Magic Reports technology, if you’d like us to tailor it to suit your needs exactly, we’d be happy to discuss a fixed quote to do so.